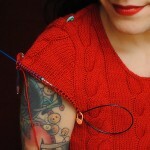 Today is part two of resizing in our knit-along. 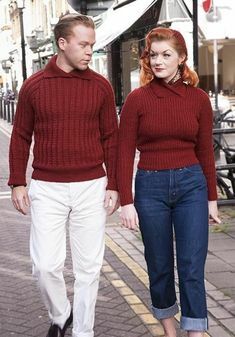 We’re now going to learn how to resize our vintage knitting pattern to our own size. This is the long post. Actually this post is so big I admit a certain bit of trepidation posting it. lol I just know I’ve forgotten something, even though I’ve worked so long on each detail. 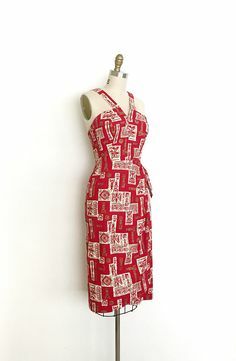 I’m going to upsize the pattern as an example for everyone, going up to a vintage size 20 according to the McCall’s sewing pattern that was sitting next to me when I typed this: 38″ bust, 32″ waist. 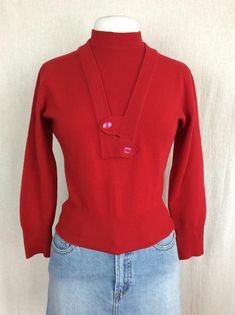 We’re going to assume that the person wearing the sweater wants to keep the original shape, and would like 1″ of negative ease at the bust and 2″ positive ease as the waist. We’ll go with my working gauge, which is 6.5 stitches per inch, and 10 rows per inch. 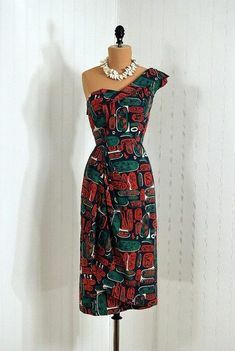 This is a WWII-era pattern. Let’s say our gal was 30 at the time, so she was born around 1913 or 1914. The most popular name for baby girls both those years was Mary. So we’ll call our hypothetical gal Mary. I’ll write out Mary’s 11 measurements when we get started, so you can follow along with your own. Let’s pick up where we left off on Wednesday…. 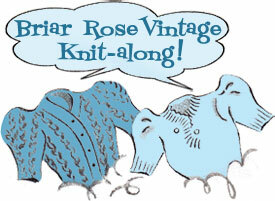 The below image is from one of my vintage knitting booklets. It’s a concise summary of how to resize a knitting pattern. There’s no hand-holding here, just general rules of thumb. Keep in mind that for these instructions, they were assuming (as is usually the case) that each next size up or down is a 2″ difference at waist/bust. Let me just say here that if these instructions set off a light bulb in your head, by all means go with it and do your own thing! You certainly do NOT have to follow along the way I do it to figure out your correct size. 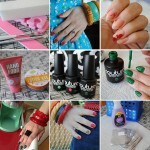 But I wanted to provide the information for those who do need more help along each step of the way. Though I promise, it looks worse than it is because of the level of detail I’m going into… it’s really nowhere near as hard as it looks! 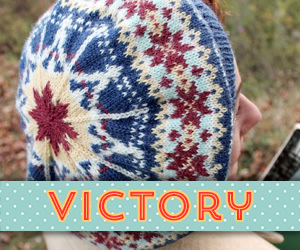 Add or subtract stitches as needed at key points in the pattern. 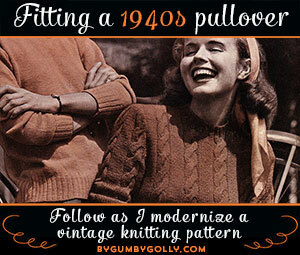 Knit more or less rows to increase or decrease the length of a particular part of the pattern. 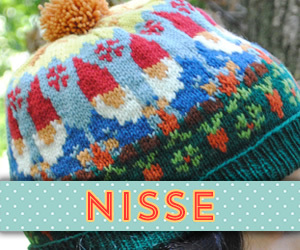 Of course, in order to do all that, we have to get really friendly with our knitting pattern. At this point, I encourage you to read through the pattern thoroughly, so when I’m going over all of this, it’s not completely new to you. What we’ll be doing is going line by line through the pattern, comparing our own measurements to the pattern and making our resized pattern as we go along. Do you remember the game Mad Libs? (Google tells me it still exists!) I call this part the Pattern Mad Libs Exercise. In order to resize a pattern, we need to break it down into its parts. Take anything that’s a measurement (something in inches) and anything that’s a stitch count (where it tells us the number of stitches) and replace them with a blank space. Those blank spaces will signify where we need to fill in the blanks with our own numbers. Using smaller needles, cast on _____ sts. Work (k1,p1) ribbing for _____ inches. Using larger needles, work in stockinette, increasing at each end of every ______th row until you’ve increased to _______ sts. Working without further shaping until work measures ______ inches. Begin armhole shaping by casting off _____ sts at the beginning of the next 2 rows. Decrease 1 st at each end of the next _____ rows. Decrease 1 st at each end of every 2nd row _______ times. Work without further shaping until work measures _______ inches from the armhole. Begin shoulder shaping by casting off ________ sts at the beginning of the next 6 rows. Cast off the remaining _________ sts. Work the same as the back until armhole shaping is complete. On the next RS (right side) row, knit _______ sts. Place remaining _______ stitches on waste yarn. Turn work to WS (wrong side) row. Cast on _____ sts for button band. P to end of row. Work in stockinette, keeping the button band stitches in garter stitch. When armhole measures ______ inches, cast off _______ sts at the neck edge of the next row. K2tog at the neck edge only of the next ______ rows. K2tog at neck edge only of every 2nd row until you have ______ sts left on the needle. Continue working stockinette and when armhole measures _______ inches. Shape shoulder by casting off _______ sts at armhole edge every 2nd row 3 times. Place the stitches you left on waste yarn onto your left needle. Joining your yarn at the center front, k to end of row. 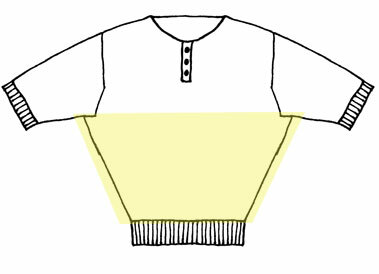 Shape neck and shoulder to correspond with Front Left side. Work (k1,p1) ribbing for ______ inches. Using larger needles, work in stockinette, increasing at each of every ____th row until you’ve increased to _____ sts. When work measures ______ inches, shape sleeve cap as follows: k2tog each end of every 2nd row until decreased to ______ sts. It doesn’t look all that bad, does it? In the next few steps, using the basic concepts from our “Some Knitting Wisdom” instructions at the beginning of this post and our measurements, I’m going to show you how to fill in all those blanks so the result is Briar Rose, YOU sized. But first let me give you Mary’s measurements that our hypothetical gal completed after the last post. These are the measurements she wants her finished sweater to have. Mary will be our guide today in our resizing exercise. Let’s recap the fill-in-the-blanks part of the back of our pattern for Mary and get down to work. I’m going to go line by line (sometimes a few lines at a time, where it makes sense) and compare the instructions to our pattern, sizing it up for our hypothetical Mary. Blue boxes will be while we’re working out the math, comparing our blank pattern and the original pattern. Yellow boxes will be final measurements we work out for Mary. 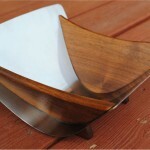 I’ll show small pictures along the way, so you can visually get an idea of what part of the pattern we’re talking about. Work in rib of k1, p1 for 3.5″. Mary wants her sweater to be 34″ around the bottom edge (Measurement A). But we need to halve that right now since we’re working on the back only. So 221 ÷ 2 =110.5. Round to 110 to make a nice even number. Now here is the point where we’ll start adding in a stitch on each side for the seam allowance, and we’re going to do this throughout our sweater. We need one stitch on each edge of each piece to sew it up, so that’s 2 for the front, 2 for the back. So 110 + 2 (just the back only now, remember) = 112 sts. Mary needs to cast on 112 sts for the back. How long does Mary want the bottom ribbing? That’ll personal preference, but I think the 3.5″ as written in the pattern is just fine. So we’ll keep that. Using smaller needles, cast on 112 sts. Work (k1,p1) ribbing for 3.5″ inches. Using larger needles, work in stockinette, increasing 1 st each end of every 8th row until increased to 110 sts. We move on here from the ribbing to the body of the sweater. We fill this in with measurements we have and calculate the other missing number. Measurement B, our bust width, is how we figure out what we increase up to (because we need to get from the bottom of our sweater on up to our bust). Mary’s Measurement B is 37″. Divide this by 2 to get just the back measurement (since we’re not working on the front part of the pattern yet). 241 ÷ 2 = 120.5, or 121. Add our 2 seam stitches, so 123. That means Mary wants to increase from her 112 sts cast on up to 123. Well that’s not an even number, which is annoying since you have to work your increases in pairs, so let’s get an even number. Just round up or down one, doesn’t really matter which. I’ll go with 124. So Mary needs to get from 112 to 124 sts. That’s a difference of 12 sts. Mary has to increase 12 stitches total after she finishes her ribbing to get to her desired bust size. So how do you figure out where to work those increases? You increase one stitch on either end of a row, so that means Mary has 6 increase rows to fit in (2 increases each row = 12 increases). Our pattern tells us to do that every 8th row. Considering the pattern’s row gauge is 8.5 rows per inch, basically it’s having us increase on either end of the row every inch. Personally, when I knit, I like to have the full number of my bust stitches (in Mary’s case, this is 124) a few inches before I get to the armhole, so the actual fullest part of my bust is covered with enough stitches and doesn’t stretch the fabric more than anticipated, because I have big girls. This is how to calculate where to place your increases. But say you’re like me and want your increases completed before your full bust, so let’s take off another 2.5” (just a guess here, though you’re welcome to figure out what the actual depth is between your armpit and full bust… I’m happy to just guess that 2.5″ is close enough, personally!). That means you want to get your increases done 2.5″ before you hit the armpit. So 9.5″ – 2.5″ = 7″. That means after your ribbing ends, you have 7″ in which to complete your increases. And say like Mary, your row gauge is 10 rows per inch. This means between the end of your ribbing and where you will cast off for your bust, you’ll complete 70 rows of knitting. Mary needs 6 rows of increases as calculated above (for a total of 12 increases). Simply divide the number of increase rows into the number of rows. Would it help to “see” this? The last number we need for this part of the pattern is easy: How long we want our body, which is Measurement C. Mary’s is 13″. Using larger needles, work in stockinette, increasing at each end of each of every 11th row until you’ve increased to 124 sts. Working without further shaping until work measures 13 inches. Shape armholes by casting off 4 sts at the beginning of the next 2 rows. then every 2nd row 4 times. Here we’re talking about shaping armholes. (Remember we’re just looking at the back right now, so technically above I should have shown you the back of the sweater, not the front. Sorry!) 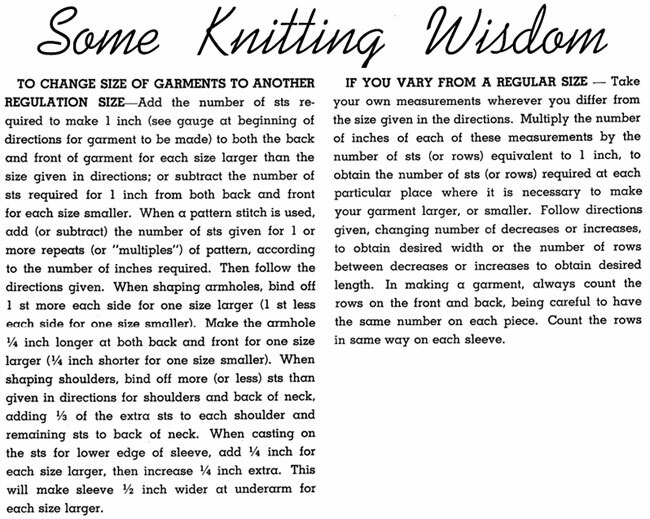 For this, I like to turn to the information in the “Some Knitting Wisdom” image I posted earlier to figure out a good way to estimate how we should change the armhole decreases for different sizes. When shaping armholes, bind off 1 st more each side for 1 size larger (1 st less each side for 1 size smaller). Since Mary’s final bust is 37″, and the original pattern was written for 32/34″ bust, let’s say that Mary is 2 sizes larger than the pattern. So that would be 2 more stitches bound off (AKA cast off) on each side of the armhole. We also need to take into consideration Mary’s Measurement E, which is width across the upper back. Mary’s is 14″. To figure out how many stitches that is, take it back to our trusty stitch gauge. Add two for seam stitches = 93 stitches. Again, I’ll round to 94 for an even number. 94 stitches is how many sts she wants to have once she finishes her armhole decreases. Now if we bind off 2 more stitches per side than the pattern, that won’t quite get us to 94 stitches after we’ve finished all the other armhole shaping. How do I know that? We start with 124 stitches (for Mary’s 37″ desired bust), and need to get to 94, so a difference of 30 stitches. Let’s look at the rest of the armhole decreases after the cast off sts. The pattern says to k2tog at each end of the next 4 rows, then each end of every 2nd row 4 times (like our pattern says), that’s 8 more rows of decreases total (adding up the “each end of the next 4 rows” and “each end of every 2nd row 4 times” bits), one stitch per side. So 16 more total decreases. We know we want to cast off 6 sts per side before we work those decreases, so that’s 12 sts decreases. Add in the 16 remaining, and that’s 12 + 16 = 28. But we said above we want to decrease a total of 30 sts, not 28 sts. So we need to stick another decrease row in there. This can easily be accomplished by k2tog each end of the next 5 rows after the initial cast off row for the armholes. The last number we need in this section is Measurement D, armhole depth. Mary’s is 7.5″. Begin armhole shaping by casting off 6 sts at the beginning of the next 2 rows. Decrease 1 st at each end of the next 5 rows. Decrease 1 st at each end of every 2nd row 4 times. Work without further shaping until work measures 7.5 inches from the armhole. Continuing on, we reach the last part of the back! Shape shoulders by casting off 10 sts at the beginning of the next 6 rows. We’re talking about shaping the shoulders here. From the previous part, we know Mary decreases from her bust of 124 stitches to 94 stitches across the back, once the armhole shaping is complete. Keep in mind that each shoulder and the neckline should take up approximately 1/3 (one third) of the total number of stitches. And truthfully, here we just kind of use Measurement F to see if we’re in the same ballpark but don’t actually really use this much. Mary has 94 stitches. To break up into thirds, that would be 94 ÷ 3 = 31. If we look at the pattern as written, it tells us to cast off 10 sts at the beginning of the next 6 rows. This is shaping both shoulders at the same time. That means you cast off a total of 60 sts, or 30 per side. It’s completed over 6 rows so it makes a nice slope on each shoulder. 3 of the 6 rows slopes the left shoulder (every right side row), and the other 3 rows slopes the right shoulder (every wrong side row). Does that make sense? The original pattern has 86 sts across the upper back, so that leaves 26 sts for the neck, with 30 sts on each side for the shoulder. So our original pattern gives a little more to each shoulder and a little less to the neckline (so not exactly 1/3, 1/3, 1/3 but close). Mary will do this too, for the sake of being consistent with the pattern as much as she can so she won’t end up having to change the collar that much. So how about this: Mary can cast off 32 sts total for each shoulder, leaving 30 sts to cast off for the back neck (32 + 30 + 32 = 94 sts). But we need to split the shoulder cast off stitches over 6 rows like our pattern. Only problem: 32 (the number of stitches to cast off total for each shoulder) doesn’t fit nicely into 3 (the number of rows we work cast off stitches per side). Even out the number as best you can. This gives us a nice slope and evens out the number of stitches and gets us to our desired number of sts for the shoulder on each side, which is 32. We’re still completing 6 shoulder shaping rows like the original pattern. That leaves us with 30 sts left on the needle at the end, which we’ll cast off and will be the back of our neck. Perfect. Begin shoulder shaping by casting off 11 sts at the beginning of the next 4 rows, then 10 sts at the beginning of the next 2 rows. Cast off the remaining 30 sts. And we’ve completed the back! Using smaller needles, cast on 112. Let’s recap the fill-in-the-blanks part of the front portion of the pattern for Mary. Shape shoulder by casting off _______ sts at armhole edge every 2nd row 3 times.FRONT RIGHT. Keeping in mind I separated out the left and right side. The left side is the left side of your body (so right side when you’re staring down at your knitting). Work the same as for back until armhole shaping is complete. Next Row- K 40 (leave remaining 46 sts on spare needle). Cast on 6 sts, k into back of cast on sts, p to end of row. We know that everything for the front is the same from the cast on edge until after we’ve completed our armhole shaping rows, so that’s brilliant and a large piece already done. Where it gets a little tricky is where we start to separate the front left and front right so we can work our button band, neckline and shoulder shaping. 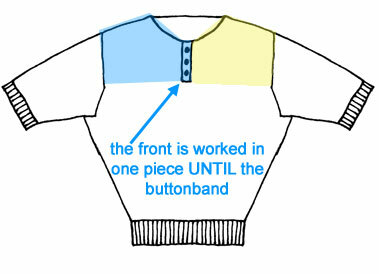 We work the front as one piece until we get to the point where we start the button band, and that’s where we will split off and work the left side (in yellow) first. Then once that is complete we will come back and work the right side (in blue). So basically we split the left and right front, leaving 6 more stitches on one side than the other, and adding 6 more stitches to the other, so those central 6 stitches on either side overlap as our little button band. Make sense? So we need to figure out how to split the two front halves for Mary in the same way. After the armhole decreases, we know from our earlier math that Mary has 94 stitches. One side will get 6 stitches more for the band. So 94 – 6 = 88. Then we need to split that by two for right and left. 88 ÷ 2 = 44. Does this add up? Let’s see. 44 sts for the left side (remember: right side when you’re looking at the knitting, left side wearing it), then 44 sts + 6 button band sts = 50 sts for the left side. Yep, that adds up to 94 sts. On the next RS (right side) row, knit 44 sts. Place remaining 50 stitches on waste yarn. Turn work to WS (wrong side) row. Cast on 6 sts for button band. P to end of row. Now we continue on to the next part of the front…. Continue in st. st. keeping the 6 cast on sts in garter st. and when armhole measures 5.5″ cast off 8 sts at neck edge of next row. K2tog at neck edge of the next 6 rows, then every 2nd row until decreased to 30 sts. 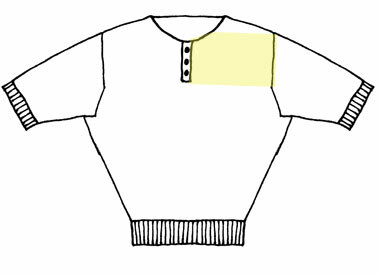 This part of the pattern shapes the neckline, i.e. the part you put your head through. Remember, we’re still only working on half of the upper body. 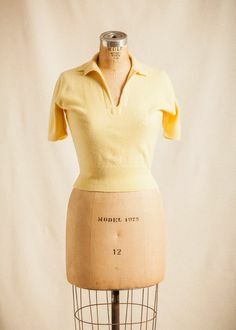 The neckline shapes the front shoulders at the same time, so in the end you want to end up with the same number of shoulder stitches on the front to cast off as you had for the back. Remember in the original pattern that’s 30 sts per shoulder, but for Mary that’s 32 sts per shoulder. When to start casting off for the neckline depends on your Measurement D, G and H. They all play in here. D is your desired armhole depth. G is how deep the front is between the armhole and where you want your neckline to start, and H is the depth of your neckline. H + G have to add up to D.
Mary’s desired armhole depth is 7.5“, and we’ve already used that number on the back. The original pattern depth of the neckline is 1.5″, so Mary will stick with about that since her size doesn’t vary dramatically from the original (though if yours does, you may need to give yourself more room to get your head in, though keep in mind the three buttons on the band will help). That means the length from the armhole to where her neckline shaping starts (Measurement G) is 6″ (since 6″ + 1.5″ = 7.5″). But, we might find we need to fuss with this a little bit, to fit in all our shaping. Now, we know Mary is working the front left (again, right as you’re facing the knitting). She has 44 sts + 6 button band sts on the needle, so a total of 50 sts. She’s got to get down to her 32 sts shoulder measurement. That’s a difference of 50 – 32 = 18 sts. The original pattern has you cast off 8 sts at the neck edge, then work a k2tog decrease at neck edge of the next 6 rows (decreasing 6 sts total, one per row), then every 2nd row until you get to 30 sts. How would this work for us? Let’s follow our guideline of casting off 1 more stitch for each size up in the pattern, so that would be 2. If we cast off 10 sts for the neckline, then k2tog at neck edge of the next 6 rows, that’s casting off 16 sts. We only need to cast off 2 more sts to get to 18 sts! So every 2nd row twice will get us to 32. Need to see the math? We have 50 sts – 10 sts (cast off at the neckline) – 6 sts (ktog over 6 rows at the neckline) – 2 sts (k2tog every 2nd row twice) = 32 sts. And that’s the number we were trying to hit: 32 sts for our shoulder. There’s one important point to make here. 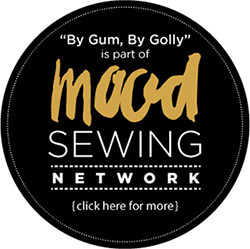 If you have a lot more stitches that you’re working with than Mary, make sure that you have enough room to get in your decreases to your desired number of stitches for your shoulder. You may need to add a few more cast off stitches to the neckline, or lower your neckline a bit (effectively making Measurement H a slightly bigger number). This probably won’t matter as proportionally, if your sweater is larger your shoulders will be larger, but I wanted to point this out just in case. If in doubt, check your row gauge. Work in stockinette, keeping the button band stitches in garter stitch. When armhole measures 6 inches, cast off 10 sts at the neck edge of the next row. K2tog at the neck edge only of the next 6 rows. K2tog at neck edge only of every 2nd row twice, until you have 32 sts left on the needle. When armhole measures 7″ shape shoulder by casting off 10 sts at armhole edge every 2nd row 3 times. This part won’t take much time. You work until the desired depth of your armhole, Measurement D, which as you’ll recall in Mary’s case is 7.5″. And the shoulder shaping is simply built on what you did for the back, except you’re only working on one shoulder at a time (since you’re only knitting on one half of the front at a time). So instead of casting off at the beginning of every row 6 times, here you’re casting off at the armhole edge every other row 3 times (so still over a total of 6 rows, thus giving the same shaping as the back). Since we’re only working one shoulder, you’ll translate that a bit. And I’ll write out the purl rows for you, since in Mary’s case she’s not casting off the same number each time so I can’t make it as neat and tidy. She’ll cast off 11 sts at the armhole edge (which is at the beginning of the right-side row) and knit to the end of the row, purl back a row, cast off 11 more sts at the armhole edge and knit to the end of the row, purl back a row, then cast off 10 sts at the armhole edge and knit to the end of a row, purl back a row, then cast off the remaining 10 sts. Continue working stockinette and when armhole measures 7.5 inches. Shape shoulder by casting off 11 sts at armhole edge of every right-side row twice. On next right-side row, cast off remaining 10 sts. K2tog at neck edge only of every 2nd row until you have 32 sts left on the needle. For the number of stitches to cast on for the sleeve, we need to know how wide we want our sleeve to be at the bottom edge, Measurement I. This number depends on Measurement J, the length we want our sleeve. If you have thin arms, you’ll need to use less stitches. If you have big arms, you’ll need to use more stitches. Mary’s Measurement I is 12″ and her Measurement J is 6″. So she wants her sleeve 6″ long and 12″ around the cast on edge. This is actually the same as the pattern. 12″ x 6.5 (stitches per inch) = 78 sts, plus add another 2 seam stitches, so 80 sts to cast on. Then how long would you like your sleeve ribbing? This is personal preference, just like on the body. I think 2.25″ as written in the pattern is just fine. 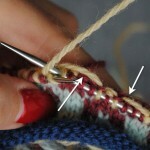 Work (k1,p1) ribbing for 2.25″ inches. Using larger needles, work in st. st, increasing 1 st each end of every 4th row until increased to 88 sts. Here we need to figure out our sleeve increases, much like we did for our bust increases. 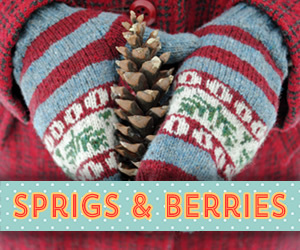 We know Mary wants her sleeve 6″ long, and she is going to knit 2.25″ of ribbing. That leaves a remaining 6″ – 2.25″ = 3.75″ in which to work any increases. You probably won’t have very many increases, since these are short sleeves and there likely isn’t a dramatic difference in width around the lower part of your upper arm and the uppermost part of your upper arm. In Mary’s case, there’s a 1.5″ difference, as her Measurement K is 13.5″. So from the end of the cuff ribbing to the upper part of the sleeve, Mary needs to increase from 80 to 90 sts. That’s a total of 10 increases. And since we work them on either side of a row (like we did for the body), that’s 5 increase rows over a total of 3.75″. But like for the bust, let’s end that shaping a little earlier, say by 1.5″, so that gives us 2.25″ to work with. Let’s figure out how many rows that is. 2.25″ (remaining length of sleeve after ribbing and ending 1.5″ before shaping sleeve cap) x 10 (rows per inch) = 22, round up to 23 rows. Divide 5 into that, and we get 4.4. Let’s round that down to 4 since we can’t very well work over part of a row (and don’t round up here, since that adds on more rows). So Mary can increase 2 sts per side every 4 rows until she gets to her total of 90 sts for her sleeve. Using larger needles, work in stockinette, increasing at each end of every 4th row until you’ve increased to 90 sts. When work measures 6 inches, shape sleeve cap as follows…. Shape sleeve cap as follows: k2tog each end of every 2nd row until decreased to ______ sts. k2tog each end of every 2nd row until decreased to 28 sts. And you know what? Sleeve caps can be pretty tricky. I’m not even going to worry you with them now. In fact, I admit I’m having some frustrations figuring out an easy way to explain it all. Fear not though, I have some tricks up my sleeves. 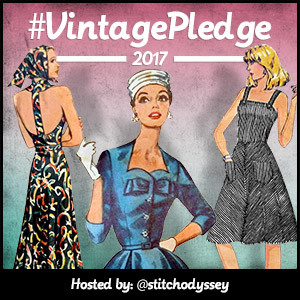 We’re set to talk about sleeves mid-March, and sometime between now and then I’ll gather my final thoughts on sleeves and present a post just on that topic. So don’t worry about them now. Let’s put together Mary’s final pattern. Look at the pattern and take anything that’s a measurement (something in inches) and anything that’s a stitch count (where it tells us the number of stitches) and replace them with a blank space. 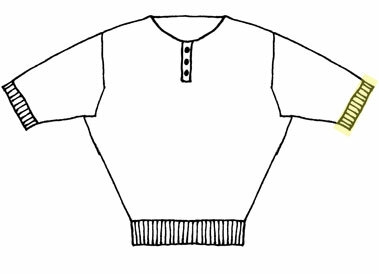 The blank spaces will be filled in by the numbers you come up with, according to the measurements you want your sweater to have. Use your gauge, your measurements and the calculations below to figure out how many stitches you will need to get the right size. To figure out how many stitches go into a certain width of knitting (say, to figure out a 12″ sleeve)… multiply your STITCH GAUGE by the NUMBER OF INCHES. To figure out how many rows go into a certain height of knitting(say, to figure out how many rows would be in a 12″ tall sweater body)… multiply your ROW GAUGE by the NUMBER OF INCHES. To figure out how wide a piece of knitting is when you know the number of stitches (say, when a pattern says “knit until 110 sts on the needle”)… divide the NUMBER OF STITCHES by the STITCH GAUGE. To figure out how tall a piece of knitting is when you know how many rows (say, when a pattern tels you “knit 20 more rows”)… divide the NUMBER OF ROWS by the ROW GAUGE. I know this was an almost interminably long post. Are you still with me?? You might want to print it all out, and work out the math at each step like I’ve done for our hypothetical gal, Mary. The actual steps aren’t that complicated once you get the hang of it, but I tried to write it out in as much detail as possible so I didn’t leave you wondering what in the heck was going on. I hope that it doesn’t feel too scary to attempt. By all means, please feel welcome to start a thread in the Flickr group if you need help with the math or need more clarity. Let’s help each other out! I’m also happy to revisit topics in future post if it seems necessary. Like I said before, this is a bit of a learning curve for me, too, explaining this all! Are you asking yourself: do I REALLY need to do all this?!! Well, the answer is no. You could use a knitting calculator, or you could wing it. Add or subtract an extra couple of inches of knitting to the front and back and call it a day. Throw in a couple of extra decreases around the armhole. 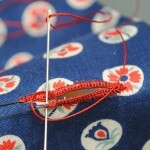 Or use a bigger gauge (LESS stitches per inch) to get a larger garment. But the problem with winging it is that you don’t know exactly what you’ll come up with. Don’t get me wrong, I totally wing it with my knitting sometimes! 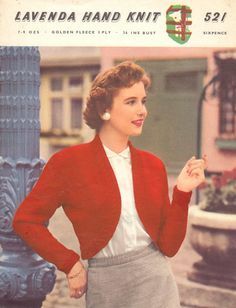 But I wanted to give you guys the basics to understand how to deconstruct and reconstruct a vintage knitting pattern, so that’s why you got this behemoth of a post. During cast on week, I’ll do a post on how to work the body of the sweater in the round (instead of knitting it flat, if you’d like to do that) which is an easy switch to make. I’ll also post about how to “read” the pattern for those of you who are more novice sweater knitters. When I did the exercise today, I re-wrote Mary’s pattern similar to the original pattern, but you might want things in a little more detail than steps like “every row 6 times, then every 2nd row twice” and “shape neck and shoulder to correspond with Front Left side”, especially if you’ve never knit a sweater before. Forget the nap–I’d need a drink! Thanks so much for posting about changing the sleeves. I’m glad I didn’t have to figure out what to do on my own! Lauren is right about the drink! I haven’t gotten past the sleeves because I need way more decreases than the example. Yay for having a big rack and narrow shoulders, not really. @Andrea If you have narrow shoulders, then be sure to pay attention to the armhole decreases (and then when you do the front, the neckline). I’d say throw in a few extra bind offs in that initial row, as well as extra decreases in the subsequent two sections. Even if the extra BO for the armhole don’t exactly fit the “add 1 extra BO for each pattern size up” general rule of thumb. I have narrow shoulders too so I often have to tweak armholes and do more decreases and bind off stitches to get me to narrow enough shoulders. 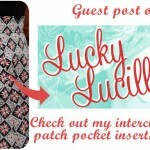 Just don’t ever decrease more than one stitch per side per row (i.e. don’t, say, knit three sts together). Wow, this is tremendously helpful info even for someone not doing the KAL! 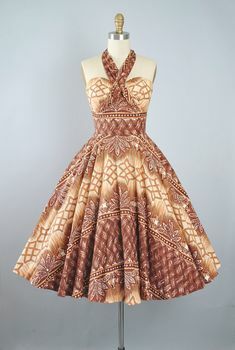 I’ve been struggling with how to resize a vintage pattern and have just been reading through your KAL posts for guidance. You have put so much effort into these posts and they’re so helpful that I just wanted to say a huge thank you! You have made a bemusing task suddenly seem not only achievable but really rather fun! I’ve followed you on instagram for a while now, and have stumbled upon your posts and the subversivefemme etsy through you. 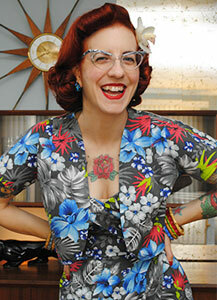 I’ve spent my entire lunch break reading this series, and feel so empowered to tackle a vintage resizing! Your info here really is invaluable! 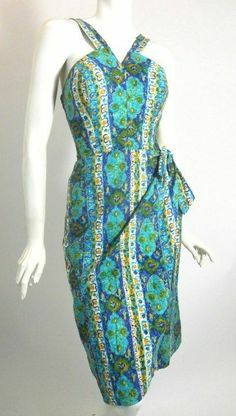 I was so excited to come across 2 perfect vintage patterns and distraught to see the size was wrong – but I found this!! 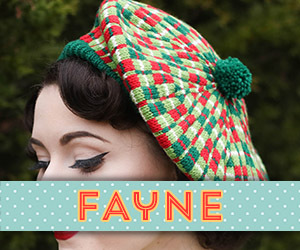 Thank you so much – another skill added to my knitting repertoire!